JFD's Divex branded, 3 channel diver radio delivers reliable and clear communications between up to 3 divers and the diving supervisor. 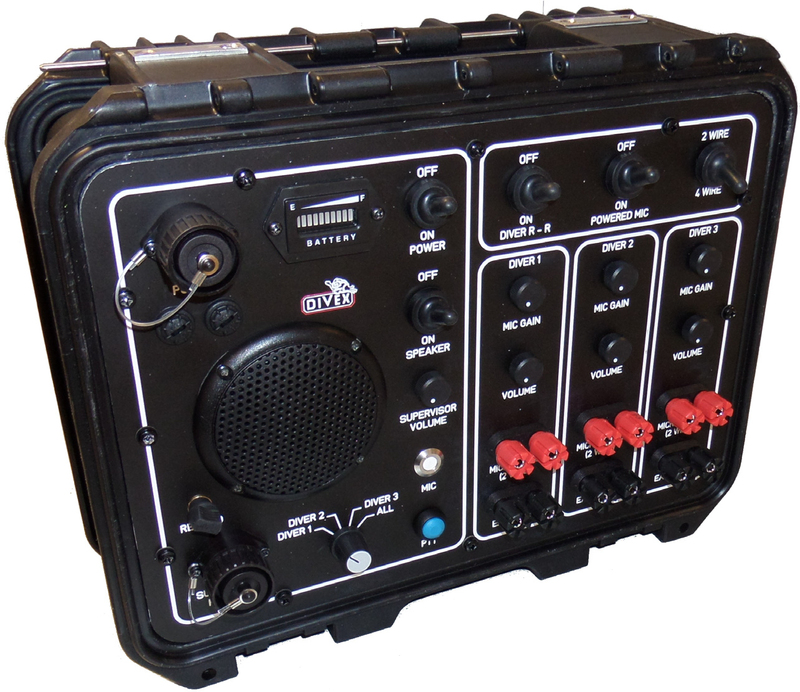 The 3 channel diver radio is battery operated, housing 2 batteries and a 3 stage smart battery charger within the case. The in-built batteries provide in excess of 10 hours constant communication between the supervisor and 3 divers. The 3 stage smart charger will charge the batteries from a fully discharged state in approximately 4 hours. A battery monitor provides a visual indication of the battery status at all times when the power switch is in the 'on' position. The diver radio supports 3 channels which are diver 1, diver 2 and diver 3. Each diver channel has industry standard banana sockets for connection of the diver’s umbilical and both 2 wire and 4 wire communications can be used. When using 2 wire communications the umbilical is plugged into the red (microphone) socket only and when using 4 wire communications the umbilical is plugged into both the red (microphone) socket and the black (headphones) socket. 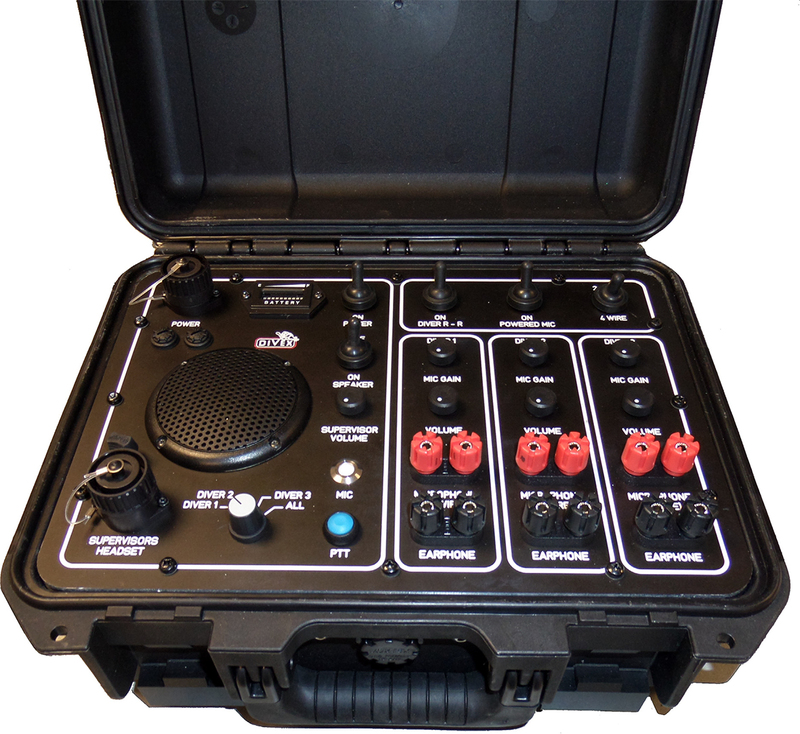 Diver round robin (R-R) is also available which allows diver-to-diver communications, this is selected by switching the diver R-R switch to the 'on' position.